Scientology is a recognized religion. Courts and governments of many countries recognize the religious nature of Scientology. Last week you wrote an article about comedian Doug Stanhope and his early development of comedy while sitting at the back of his mother’s AA meetings as a child. While the article itself is interesting, you inject an unnecessary, bigoted slur about Scientology. Scientology is a recognized religion. 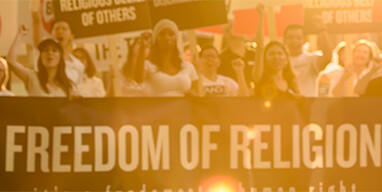 Courts and governments of many countries recognize the religious nature of Scientology. In a few countries the Church has been forced to litigate the issue of its religiosity and has inevitably prevailed. Some legal decisions, including decisions by the United Kingdom Supreme Court, the Cassation Court in Italy, the High Court in Australia, are now considered by leading scholars and judicial authorities to have established the standards regarding religious recognition that all religions must now meet. So, to mischaracterize Scientology with a slur does great injustice to Scientologists everywhere, for you simply perpetuate a propaganda line that is unworthy and unsupported. I offer you the True Story of Scientology. Please consider this in your future writings.